There will be a presentation from Independent Age in the foyer on this day. Information about the services they offer will be available. NHS Warrington Clinical Commissioning Group is advising patients that some practices are currently experiencing issues with slow IT systems, which may impact upon how quickly practice staff can help. 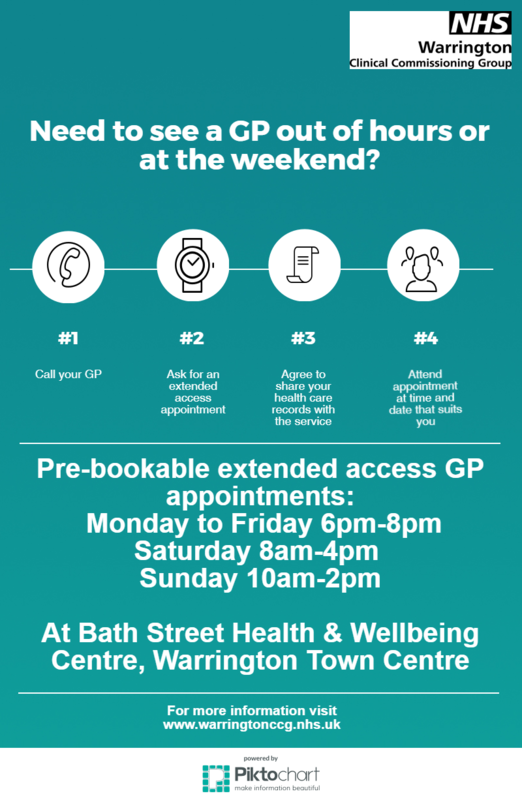 Over the Easter holiday period we will have a limited number of GP appointments available to pre-book for Good Friday (19th April) and for Easter Monday (22nd April). These appointments will be available to book 7 days ahead, as pre-booked only, and we will not be open for any other services on those days. To book one of these appointments please speak to reception or book online. Our receptionists are now trained Patient Advisers. Patient Advisers will direct you to the most appropriate clinician to make an appointment with - this could be with a Healthcare Assistant, Practice Nurse, Advanced Nurse Practitioner, clinical Pharmacist or your GP. They can also help you with others sources of help or advice - including the voluntary sector, who can support people with a wide range of needs. To help you, our Patient Advisers will need to ask you’re a few brief, confidential questions. By providing this information we can make sure you see the right person for your care. 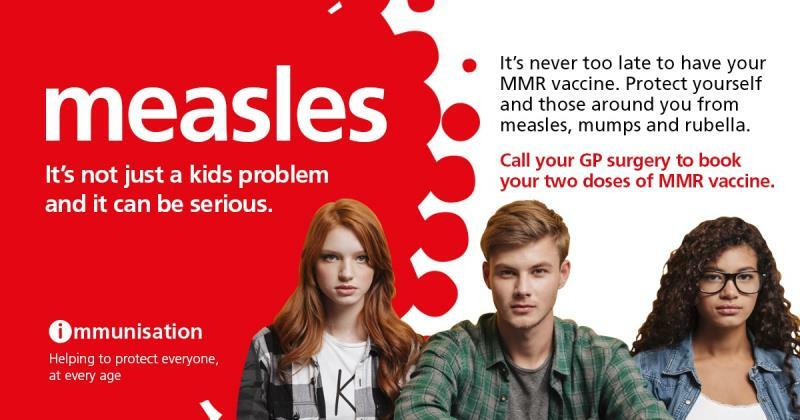 For more information on the recent outbreak see our 'Campaigns' page. If you have a mobile telephone please ensure that the number we hold on your records is current. We are able to send you SMS messages to confirm appointments, reminders for appointments and health checks, results or if we need to contact you in an emergency. To update your number you can complete the questionnaire in the 'Online Services' (if you have registered for online services) or otherwise complete a form in the surgery. Patients are now able to access, via SystmOnline both a summary and coded content of their patient record. The summary will include allergies, sensitivities and medication. Only information recorded by the practice will be visible. The detailed coded record will show coded entries, results etc. To request access you must complete an application form and present photo ID at the surgery. Please see the Online Access to Medical Records area for more information. If you require travel vaccinations please download and fully complete the Travel Vaccinations Questionnaire . Once complete either hand this in to our reception team or post in the letter box at the surgery. The nurse will asses you records and you will be contacted with the outcome. Please allow at least two months before the date of travel.